to ever sail the Seven Seas. This book was funny, with plenty of humour for all ages, which went across all the pages. It was silly and exciting and full of adventure and bravery. I loved the characters and how the good guys were two kids just trying to help out their parents or a friend. It shows you can be kind hearted at any age. The pictures were great. I found myself smiling at how great and silly they were. I can imagine parents reading this to their kids, lots of laughter would ensue. Woodstock might be the smallest of all the Peanuts gang, but he’s got a lot to say, even if Snoopy is the only one who understands him. That’s because Snoopy is Woodstock’s “Friend of Friends,” and together they write masterpieces, fly airplanes, find the perfect place to nap, and win over the hearts of readers all over the world. Whether he’s falling in love with a snowflake or crash-landing on the tip of Snoopy’s nose, Woodstock is the little yellow bird with a big personality. It takes more than a strong wind to ruffle Woodstock’s feathers, although it’s a good thing he has Snoopy to keep his little yellow feet on the ground. Don’t miss out on the newest AMP! Peanuts collection featuring Woodstock, the most recognizable yellow bird in the world—even in disguise! I have always been a fan of Snoopy and have lots of the books from my childhood, so this felt a little like a blast from the past. I was glad to see the writing and drawing were as good as I remember. I was a little disappointed with the stories though, they fell a little flat with the lack of characters, the usuals popped in, but not often. I also felt some of the storylines could have been taken farther rather being dropped where they were. Overall, anyone who likes Snoopy will like this. Arlo Brodie loves being at the heart of the action on the football field, getting hit hard and hitting back harder. That’s where he belongs, leading his team to championships, becoming “Starlo” on his way to the top. Arlo’s dad cheers him on, but his mother quotes head injury statistics and refuses to watch games. Arlo’s girlfriend tries to make him see how dangerously he’s playing; when that doesn’t work, she calls time out on their relationship. Even Arlo’s coaches begin to track his hit count, ready to pull him off the field when he nears the limit. But Arlo’s not worried about tallying collisions. The winning plays, the cheering crowds, and the adrenaline rush are enough to convince Arlo that everything is OK—in spite of the pain, the pounding, the dizziness, and the confusion. Hit Count explores America’s love affair with football and our attempts to reconcile the clear evidence of its dangers with our passion for the game. This book seemed really good, but it fell completely flat for me. Arlo felt like two different people even from the very beginning. His tone of voice often changed and I am pretty sure it was just bad writing. The writing itself was childish and did not flow well at all. There was an awful lot of repetition and boring monologue that was saying the same message over and over in a slightly different way. I felt like football (american football) was being shoved down my face. Yes I know it’s about that sport but surely there could have been a little more variation. After a promising start this book did not keep my interest and I had to work hard to finish it. It wasn’t exactly what I expected but it was a nice story. I liked how it switched between locations, I would have preferred a little more descriptions, especially on St Andrews, it’s one of the most famous universities in the world, I expected her to know a little more about it other than it is next to a golf course. I suppose I am biased since I live near there. But there was a general lack of descriptions throughout the book. Blakely was a little annoying, she expected things to fall in her lap and didn’t really think about anyone’s feelings but her own. Max was a good character, sounds cute and seems like a nice guy but the whole insta-love annoyed me. It was even before he met her. North was probably my favourite character, he seemed like a really loyal friend and a great catch. I found the switching of POV’s annoying, there was no break to indicate it and it sometimes even happened during a paragraph, those points were confusing. I found the fact that you knew most the secrets at the start a little strange, you were just waiting to see how it played out. Overall a good book and I will be reading the next one in the series. 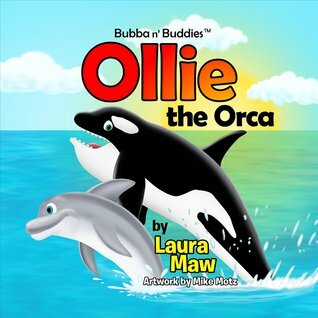 Bubba is out on one of his undersea adventures when he finds a frightened Orca trapped by a fishing net! In this attention gripping yet comical tale, Bubba works with his buddy Sammy the Seagull to free Ollie. Come along and join Bubba the Bottlenose dolphin as he makes a new buddy while sharing a day they won’t soon forget. The pictures of this book were bright and well drawn, it was a fine book but I felt that there could have been a little more to the story, it was too message based. Yes I know it’s for kids, but they like excitement and adventure. The story was fine but like I already said, I could have done with a little more, it was just a little bland. 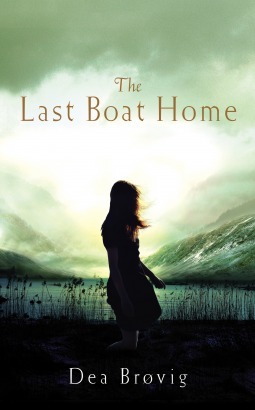 Explosive, dark and tender, The Last Boat Home is a devastating novel about sacrifice, survival and a mother’s love. If you loved The Light Between Oceans or The Snow Child, this is for you. On the wind-swept southern coast of Norway, sixteen-year-old Else is out on the icy sea, dragging her oars through the waves while, above her, storm clouds are gathering. Surrounded by mountains, snow and white-capped water, she looks across the fjord and dreams of another life, of escape and faraway lands. Back on shore, her father sits alone in his boathouse with a jar of homebrew. In the Best Room, her mother covers her bruises and seeks solace in prayer. Each tries to hide the truth from this isolated, God-fearing community they call home. More than thirty years later, the return of an old friend forces Else to relive the events that marked the end of her childhood. I struggled at the start of this book. It was a little confused and didn’t hold my interest. But once I got into it, it was quite enjoyable, the story was good and it flowed well. I liked most of the characters, especially Else’s grandaughter. This book had strong themes of abuse, religions and heartache. It had some moments that were hard to read due to their subject nature but at the same moment you had to read on to find out what was happening. Lars was a character I didn’t particularly like. He was just plain rude and a little but creepy for my liking. The book had some interesting ideas but it struggled to hold my attention. I would recommend this book, just to people who prefer a slower paced books. This book started off a little slow for me, but once I got to the third chapter I was hooked and had to finish it that day. It reminded me a little of Harry Potter, just in the way how magical it was and how much it sucked me in. Alex was a great main character, I love books where you learn with the character, it was really well written and I was just lapping up the whole story. The beginning was a little lack luster but the rest of the book made up for it. The friendship between Alex, Jordan and Bear was great and only got better over time. It was a fun and loyal friendship which made me smile a lot. The world of Medora was complex and completely inviting. I loved learning all the magic and technologies of the world. It all made perfect sense and always left me wanting more. I wish I could gush and explain exactly what I loved about this book but with revealing too much I cannot. So if you want to know how good it is, click on the picture which which will take you to the goodreads page. In a world where everyone wears a mask, you can’t trust anyone… not even yourself. Verity Fortune was once Sapphire City’s top crime-fighter, wielding her powers of telekinesis to battle the city’s most despicable villains. Now, she’s consumed by a single burning desire: revenge. Against those who took away her mask, her memory, and nearly her life. This book was spiderman meets superman meets girl interrupted. The first chapter had it’s hooks in me from the word go and then they lessened a little as I kept reading. It started as a kind of upside down Spiderman, instead of him fighting someone who is really rich, she is really rich and her father owns a large company and they are fighting the bad guys. The story flowed well and I really enjoyed where it took me, but some of the writing style and terms that were used put me off a little. “Christ on a cheeseburger” and other such sayings are not needed for me. Most of the writing was fine but at certain points it felt like the author was trying too hard to make it sound fancy, it wasn’t needed and was a little jarring. Verity was an okay character most of the time but she was a little annoying and quite selfish and doesn’t really listen to anyone else. She also has a screw or two lose and not in a good way, some of what she was doing was over the top and not needed. Overall I found this book action packed and riveting, I would recommend this book to anyone who likes superheroes. In a small Japanese mountain village, young Shoji enters an ice carving competition. He soon finds he has a rival in Orochi, another boy in the village, who tries to sabotage Shoji’s entry, but with the help of his family Shoji creates a most beautiful Snowbird. When the other ice carvings are revealed they discover that Orochi has stolen Shoji’s idea and has also carved an equally beautiful Snowbird. The judges cannot decide the winner of the competition so they announce that the result will be declared the next morning. During the night Jack Frost discovers the two Snowbirds and thinks one of them will make an ideal companion for his Grandfather Frost, the Snow King. At the same time Shoji, anxious for the safety of his Snowbird, sneaks out of his house and meets Jack Frost who explains his plan. Shoji agrees to let him have his Snowbird, but they are both interrupted by the arrival of Orochi who demands payment in return for his. The Snowbirds is a magical tale that will be enjoyed by children from the age of seven. In the style of a full length novel, it will help the younger reader progress to more challenging literature, while providing a thrilling read for those who are older. Although this is a children’s book I enjoyed it greatly. It was a lovely story with some lovely, well drawn pictures that had a lot of depth and character to them. The story had a lovely message and was very family orientated. The story was well written and flowed well. I would recommend it for young children or families. Constantly moving as she grew up, Taylor had learned the hard way how to blend in wherever she went. But when she moves to VanCamp University for her freshman year of college, she immediately finds herself at the center of attention of nearly everyone she encounters. From the charismatic and mysterious Evans twins, to her quirky, clingy roommate Hannah, it seems that the people in Taylor’s new college life have no intention of letting her be the wallflower. It’s not just blending in that Taylor has to worry about, though. At VanCamp University, there is more to the staff and students than meets the eye. While trying to adjust to her new life on campus, she finds herself in a world where fairy tales and reality collide, where gargoyles and leprechauns mingle with humans and vampires, and where nothing is as it first appears. And as she discovers the truth of her own unusual heritage, Taylor learns that fairy tales are just the beginning. This was a little different from other vampire books I have read and for this was grateful. Yes the main character does not know vampires exist until she arrives at the school and then she gets thrown in the deep end. I really enjoyed the descriptions and unique take on these vampires. The story was intriguing and left me wanting more. I read it in about 3 sittings and did not want to put it down. The characters were interesting, each one has their own story to tell and I am looking forward to finding out more in the next one. Taylor was a good little grumpy main character. But then again with everything that went on, she is allowed to be a little grumpy. Overall this was a very enjoyable book.